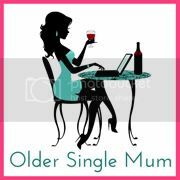 Older Single Mum: Where Have I Been? Last week I ended up in hospital being forcibly indulged in a four hour blood tranfusion. It was obvious I was poorly, as I'd found myself watching daytime TV. 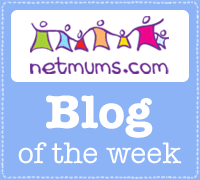 Too ill to stand, throwing up if I walked, passing out on two occasions - once in front of my six year old and feeling increasingly dizzy even when lying flat, drastic action had to be taken. More unusual than the two home visits by a Doctor, was being in bed reading a magazine in the SAME MONTH it had been issued. That's simply not normal around here. Articles and features I collect to read from newsapers and numerous other publications build up until their dates become too embarrrassing to have hanging around any longer. The fashions and stories will have come, gone and been re-cycled and upcycled, so, eventually, every now and then, more often than not, I will summon up the courage to throw them all out. However, this was no Normal Day. Having waxed lyrical about a truly farcical visit to a gynaecologist on a previous post, suffice to say, we are talking problems in that department - my haemoglobin iron count was dangerously low. I have been brave for so long - being a single parent, daring to love again, taking in foreign language students, plus facing (and not always really able to cope with) one technical hurdle after another in the blogosphere ... I could go on ... but on this occasion, my usually insurmountable joie de vivre deserted me. What if I didn't like the feel of them? What if it didn't take or there was a negative reaction? What about all those stories of people who develop previously never felt before cravings and and characteristics of someone who has donated an organ to them? Pure nerves initially prevented me from proceeding. Then the kindly, but fresh out of nappies, G.P. mentioned the dreaded word: Menopause. You can dress it up how you like - Pre, Peri or bleedin' (Ha Ha!) Merry, but I ain't ready for that. I have one child just started nursery - these two things are not natural allies, surely? Er, No, ta very much. Yet missing my little one's first day - being totally incapacitated and unable to drive him there -bringing only faint feelings of relief rather than remorse / heartbreak, friends rallying round, seeming shocked and a bit upset while kidding me about how awful I looked and parts of my life flashing before me as I eventually became incapable of reading, writing or even entertaining Twitter, it simply made sense to relent. There was no option. It turns out my misgivings were totally misplaced. Apart from a terrible rash around my throat area, my well being is now a whole lot better. I am still weak, but my neverending knackeredness, previously attributed to having young children at my age, is undoubtedly not always unrelated to chronic anaemia. Some kindly souls have literally, breathed life into my bones and I thought of them as their special sacrifice, bearing uncanny resemblance to my regular red wine tipple, was pumped directly into a vein. What is there not to be thankful for? While I nod silently in agreement with the eloquent middle age musings made by Sara Bran and Adventures of a Middle-aged Matron or glorious Countrywives, they are altogether much more comforting and funny happening to someone else. Even though I must concede to having jokingly written my own post called You know you're a grumpy old woman when ... - it was supposed to be just that - joshing. This month's June Issue of Easy Living magazine contains a piece about four women who have bounced back from adversity, and yours truly is featured. I am, therefore, AHEAD of any self-imposed reading schedule for a change and now able to function better - not up to par, but actually managing to read and write and get this far, with the occasional short burst on Twitter. But if you ever discover I am watching daytime TV again, please don't wait for me to keel over - get me to the nearest hospital. Pronto. I'm dismayed to hear you've been enduring all that. What a horrifying experience. I d wish you all the very best. Hi Sarah, The main thing is I feel better and am only grateful. I just had to put it out of my mind! It's a true gift. To Ageing Matron - It wasn't too bad really - I just hate feeling incapable. The transfusion was the easy bit. It was the mental aspect I struggled with. Thank you for your good wishes. Hi Jenny - (Cheetahs) Thx for your good wishes as well - and I was continuallly aware and pleased to be no more seriously ill than I was. Your family endures so much - you are a fine example to us all. Still managed to clock your cakes - incredible! Oh you poor sausage! I am sorry to hear you were so ill but relieved to hear that you are now on the mend! If you ever end up watching This Morning again please tweet me and I'll come and get you! Thank you darling - glad you appreciate the gravity of such a situation! Glad to hear you are feeling better. You must have been ill if you were watching daytime tv!! I went to give blood one day here in France and they told me they didn't want it because I had lived in the UK in the 80s and was therefore probably full of mad cow disease. So I left. Thank you MP. Not really famous - we went to a pub for the photoshoot and everyone was looking. I wanted to shout 'I'm a nobody - look away!' But kept my head down, meekly, mortified, instead! Oh goodness - that sound grim. Glad you are on road to recovery (must get Easy Living). Those dwarfs are freaking me right out! Especially as I am currently itching. That really made me laugh - you look like you feel too young too! Daytime television? I'd have had you committed, I mean, to the hospital faster than you can say corny-budget-soaps-and-trashy-talk-shows. Thank goodness you're ok. Glad you're back! And rubbish 60 minute makeovers that we all know should take 60 days .... thank you Tania. Good lord, that sounds proper. So glad you are on the up again despite misgivings... and that soon your relationship with Jeremy Kyle will be over. Thank you for that- but for the record, I never stooped that low! Please shoot me if I ever do. Having no iron is a horrible situation, not just physically but mentally too. Both my daughters have problems with low iron, luckily not to the extent that they need a transfusion but it is something that has to be checked regularly. I happy to hear that you are feeling better now! Sorry to see that about your daughters - it sort of creeps up on you, really, so it was a bit of a shock. Glad you keep an eye on them. Thank you. You're so kind, thank you.